Every couple of months I get a pedicure, just to keep my tootsies in good shape. And I think it’s romantic to go with Gail and get them together. 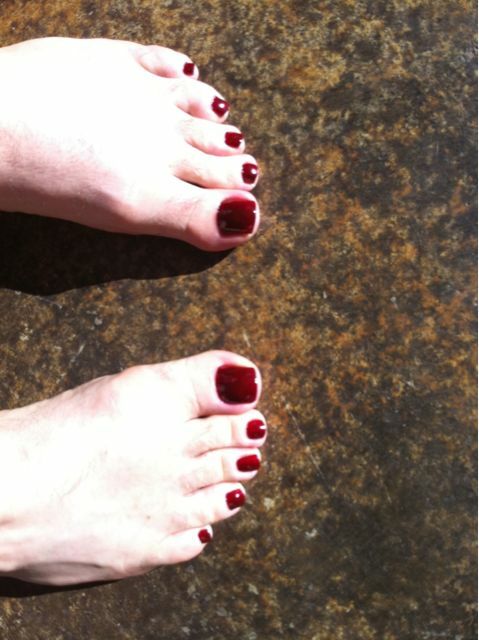 Today Barbara Hanson, the president of my fan club, heard that I had a “pedi” appointment and urged me to get the maroon polish. HUH, waddaya know about that…. I’d have thought you were more of a Neon Green myself….. I can only imagine the look on Tub’s face! What happened to your toe ring?